Previously, named as'' Istavros Gates'' because of the symbol of the cross erected by Great Konstantinus in that field, the beauty of Beylerbeyi Set Gardens have caused a splendid construction since Byzantine period. It took its name from a mansion used as Rumeli Beylerbeyi in the time of Sultan Murat III(1524-1595) and belonging to Mehmet Pasha. After rebuilt many various structures in each period, Sultan Abdulaziz finally completed it and built today's palace in between(1861-1865). It was known that Beylerbeyi Palace was built by the genius architect Serkis Balyan and also it was worked five thousand workers in its building. 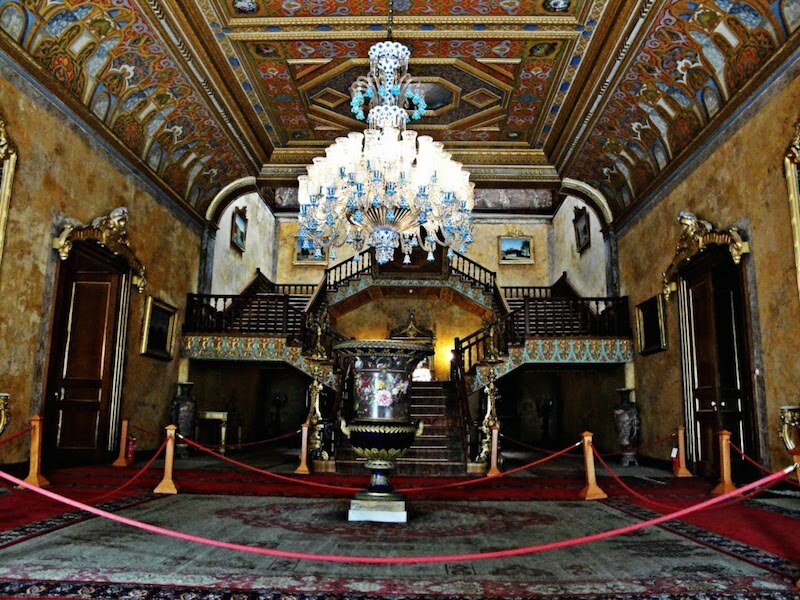 Always not used because it was a summer palace, Beylerbeyi Palace generally opened its doors to welcome the heads of state or the presidents coming from abroad in sumer time. Among those guests, there were many important people visiting that palace such as Serbian prince, the king of Montenegro, shah of Iran and French Emperor ''Eugene''. Additionally, some foreign state guests were entertained at Beylerbeyi Palace during the period of the republic as well. 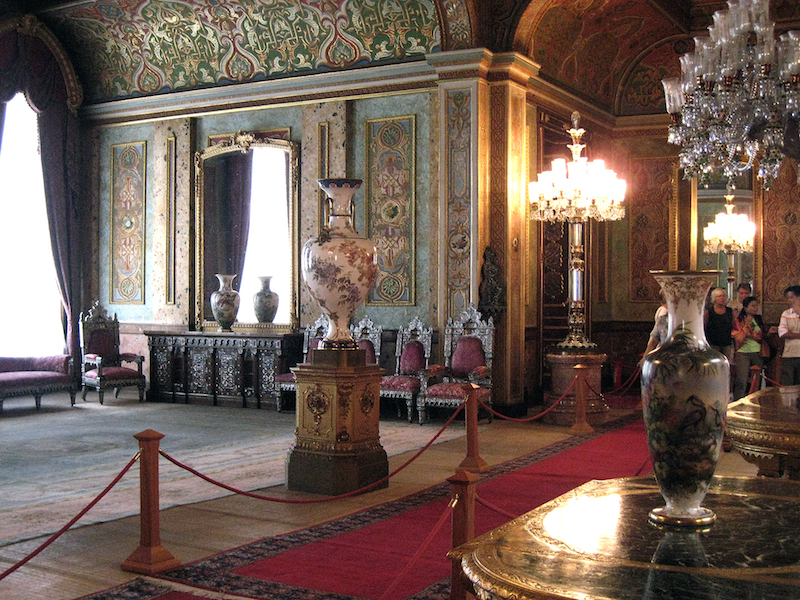 Pehlevi, the Shah of Iran who visited Turkey in 1934, was entertained at the palace by Gazi Mustafa Kemal Atatürk. The Balkan Games Festival was also organized at Beylerbeyi in 1936 and Mustafa Kemal Atatürk spent that night in the historic bed- room of the palace. 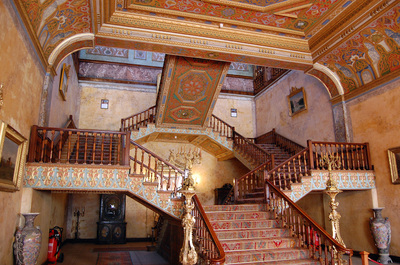 The features of the interior architecture of the palace resembles Turkish home plan. Another features of that palace; firstly in the palace divided into Harem and Salutation parts, it is seen that Salutation part was furnished more valuable and fascinating pieces than Harem. Secondly with three entrances and three floor, the palace includes 26 rooms and the ground floor of it was used as the kitchen and the store. Thirdly, Its base slabs were covered with the special mats brought from Egypt in order to be used for protecting people in the palace from moisture in the winter months and warm in the summer. 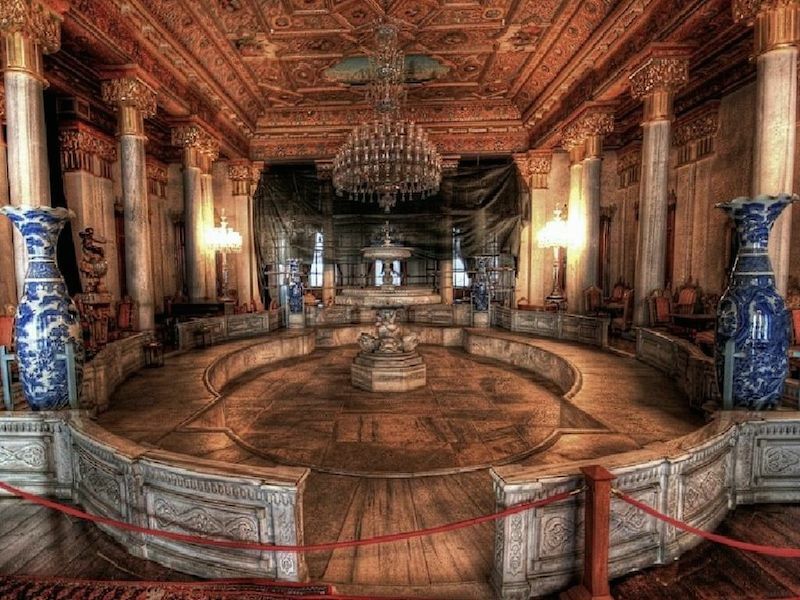 Also it was furnished with artworks like the decorations,the slabs, large carpets and rugs, mostly made in Hereke, and beautiful bohemian crystal chandeliers, French clocks and Chinese, Japanese, French and Turkish Yıldız porcelain vases. 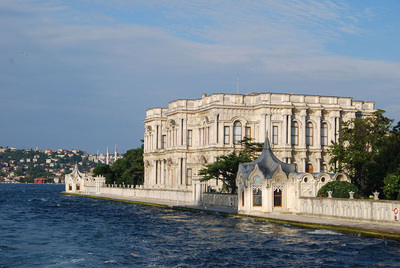 Finally Beylerbeyi Palace includes Harem and Salutation sea mansions, Sarı Mansion(Yellow Mansion) and Av Mansion (hunting Mansion) surrounded a huge pool, Mermer Mansion (Marble Mansion) and Ahır Mansion. 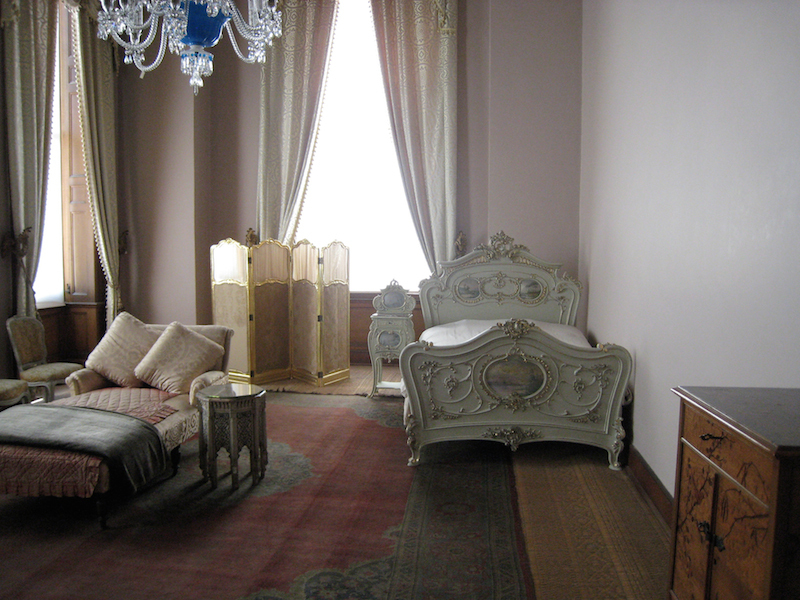 Moreover Sarı and Mermer Mansions are thought that they have remained since the period of Sultan Mahmut II. 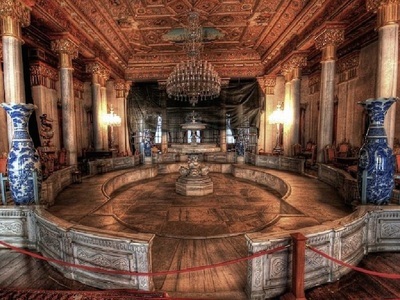 The system of light fascinates the palace and attracts the visitors. The chandeliers and the candelabras used as lighting devices. Used French Baccarot motifs, chandeliers were coverd with the gold leaf and green-white crystals.Each sides of the cahandeliers are found 103 arms carrying decorative plates surrounded with the flowers. The eight-footed chandelabras are displayed in the hall with the pool.Every chandelabra seperated two groups was located in the corner of that hall.The foots of those crystal chandelabras made of Baccarat have a grooved(a hole)-shape. Being the production of French Serves Poercelain with couple chandelabra, vase was created by the skillful hands of the famous French artist Barriat.All surface of the vase was ornamented with the white flowers and its foots and its silvering handle made of the bronze. 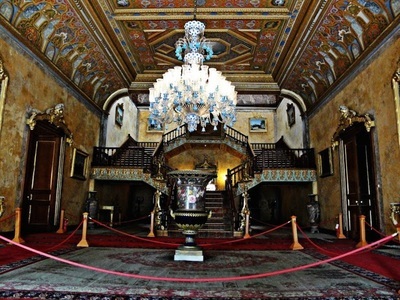 The workroom of Sultan Abdulhamit II in Yıldız Sale Mansion includes a bookcase reflecting style of Renaissance Period, a writing table,a chair and his furnitures moved from another residence of Sultan ‘’Sale Kasr’’.Furthermore,ıt is claimed by the American agent that there are coded table in the work room but it is not clear its reality.